Rationale: Previous research has shown an attentional bias toward drug-related stimuli in opiate addicts and toward emotionally threatening words in anxiety patients. Objective: The primary aim of this study was to investigate whether non-dependent heavy social drinkers would differ in their selective attention towards alcohol-related stimuli in comparison with a group of occasional social drinkers. Methods: Attentional bias was assessed using alcohol-related pictures and words in a dot probe detection task. Picture and word pairs were visually presented, followed by a dot probe that replaced one of the items. Attentional bias was determined from latencies in responding to the dot probe. Questionnaires were used to examine the relationships among attention, outcome expectancies after alcohol consumption, and personality traits. Higher-order executive function was also measured with two cognitive tasks, recognition memory and attentional shift. Results: The heavy social drinkers showed an attentional bias towards the alcohol-related stimuli when compared to the occasional social drinkers. The heavy social drinkers also scored more highly on expectancy factors of sociability and sexuality and lower on the personality traits of self-directedness and persistence. 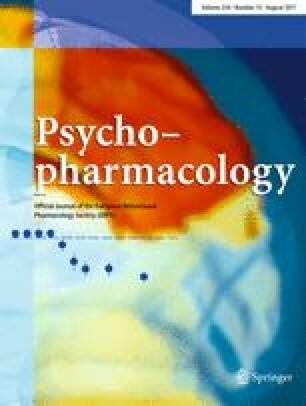 Conclusion: The results support cognitive theories of addictive behaviour in which the ability of drug-related stimuli to capture attention is suggested to play a part in drug dependence, craving and relapse.